Michael Wolff, columnist for British GQ, Vanity Fair, New York Magazine, the Guardian and USAToday, keynotes the Fair Media Council’s Folio Awards Luncheon, the biggest media event on Long Island, on April 24, 2015 at Crest Hollow Country Club. 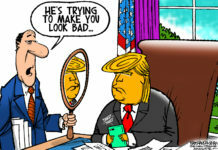 Wolff is also the founder of Newser and the author of five books, including “The Man Who Owns The News: Inside the Secret World Of Rupert Murdoch.” The book is based on nine months of interviews with Murdoch and his family and associates. As an early Internet pioneer (an experience chronicled in his book Burn Rate), and student of the media, Wolff has witnessed and written about the revolution in news habits: “The collapse of newspapers and the slow death of broadcast news have not meant the death of the news market but rather a flight of consumers to other news platforms. News consumers want access to a wide range of news sources; they want this new wealth of information presented in an efficient and entertaining way; and they want technological tools to help them cut through the chaos of the web” he notes. Newser, launched in late 2007, is Wolff’s effort to help invent the new news. 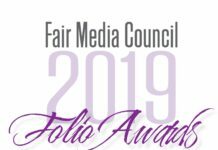 The Fair Media Council’s Folio Awards honor the best in local news and social media, as judged by the public. Hundreds of business and community leaders and media from the metro area attend, making it the premier networking event on Long Island. In addition to Wolff headlining the event, awards presenters include WNYW’s Greg Kelly, WCBS’s Chris Wragge & WLNY’s Alice Gainer, NBC4 New York’s David Ushery & Sibila Vargas, PIX11’s John Muller & Tamsen Fadal, WCBS NewsRadio 880’s Craig Allen & Tom Kaminski, FiOS1 News’ CJ Papa & Nancy Ward and SNY NFL Analyst & Former New York Jet Erik Coleman. Performing at the event will be Long Island’s own MarissaAnn, a contestant from NBC’s The Voice. Then 15 years old, she had been the youngest competitor on the show. During the luncheon, awards will be presented to the best in local news, including: WABC-TV, NBC New York, CBS New York, 1010WINS, WCBS NewsRadio 880, FiOS1 News, WLNY, WRNN, WLIW, WRHU, Push Pause, Turning Point with Frank MacKay, MYLITV, Dan’s Papers, Long Island Business News, Long Island Press, HumanSafetyNet.com, Massapequa Observer, Mineola American, Plainview-Old Bethpage Herald and Port Washington News. Social media honorees include: Grill Fire/Wordhampton, Hofstra University, Long Island Cares, Leukemia & Lymphoma Society/Silverback Social, Everything Lidia and Zimmerman/Edelson, Inc. The Folio Awards program is judged by the ultimate critic, the public. This year, 35 community and business leaders donated countless hours to judge hundreds of entries. The judges were: Ernest T. Bartol, Senior Partner, Murphy Bartol & O’Brien LLP, Joe Bosnack, Principal, Katz Nassau Agency, Inc., Raymond Caliendo, Principal, Art-Of-Form Architects, Robert B. Catell, Chair, Advanced Energy Research and Technology Center, Rita Castagna, Americana Manhasset, David Chauvin, Vice President, Zimmerman/Edelson, Inc., Kevin Dahill, CEO, Nassau Suffolk Hospital Council, Jordan M. Darrow, Owner, Darrow Associates, Michael Dawidziak, President, Strategic Planning, Bob Horvath, Chairman Emeritus, RAPP, Bradley Gerstman, Partner, Gotham Government Relations, Wayne Grosse, CEO, Bethpage Federal Credit Union, Marianne Garvin, President & CEO, CDC of Long Island, Andy Kraus, Senior Vice President, Epoch 5 Public Relations, David M. Okorn, Executive Director, Long Island Community Foundation, Patricia Quinn, Community Outreach and Public Relations , United Cerebral Palsy Association of Nassau County, Inc., Charlie MacLeod, President, SMM Advertising, John Miller, CEO, American Red Cross on Long Island, Luis Portiansky, Regional Marketing Manager, Towers Watson, Rob Salvatico, Senior Vice President – Operations, Jaral Properties, Inc., Jay Schoenfeld, Government Relations Director, EmblemHealth, Joe Sellitto, Senior Vice President,Pension & Wealth Consultants, LLC, John Charles Stellakis, Associate Attorney, Murphy Bartol & O’Brien LLP, Richard B. Turan, Turan Family Foundation, Kevin Ryan, President, Ryan & Ryan PR Inc., Christopher Wright, Regional Managing Director, Eastern United States, Protiviti, Kevin Verbesey, Director, Suffolk Cooperative Library System, Jeffrey S. Morosoff, Director, Graduate Program in Public Relations, Hofstra University, John Durso, President Local 338, President Long Island Federation of Labor, Kevin Kelly, Co-President & CCO, bigbuzz marketing group, Patrick Macri, President/CEO, Millennium Communications Inc., Jeffrey Reynolds, President/CEO, Family and Children’s Association, Charles Skop, Member, Meyer, Suozzi, English & Klein, Leila Zogby, Principal, Leila Zogby Business Writer and Jeffrey Weir, Director of Communications, PSEG Long Island. Major supporters of the event include Briarcliffe College, Bethpage Federal Credit Union, North Shore-LIJ Health System, WeiserMazars LLP, PSEGLI, Protiviti, Hofstra University, Americana Manhasset and the law firm of Murphy Bartol & O’Brien. The Fair Media Council is a 501c3 nonprofit organization that advocates for quality local news as vital to the health and well being of the community. FMC also works to create a media savvy society. Tickets, tables and journal advertising for the Folio Awards are on sale at www.fairmediacouncil.org or simply by clicking here. For more information, call 516-224-1860, ext. 706 or email info@fairmediacouncil.org. Part watchdog. 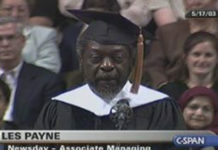 Part advocate. All superhero. Fair Media Council is one of the oldest, most successful media watchdogs in the country. We advocate for quality local news & work to create a media savvy society. FMC is a 501c3 nonprofit organization serving the public interest since 1979.